Birtsmorton Court is a stunning 12th century medieval moated manor house set in the Worcestershire countryside. 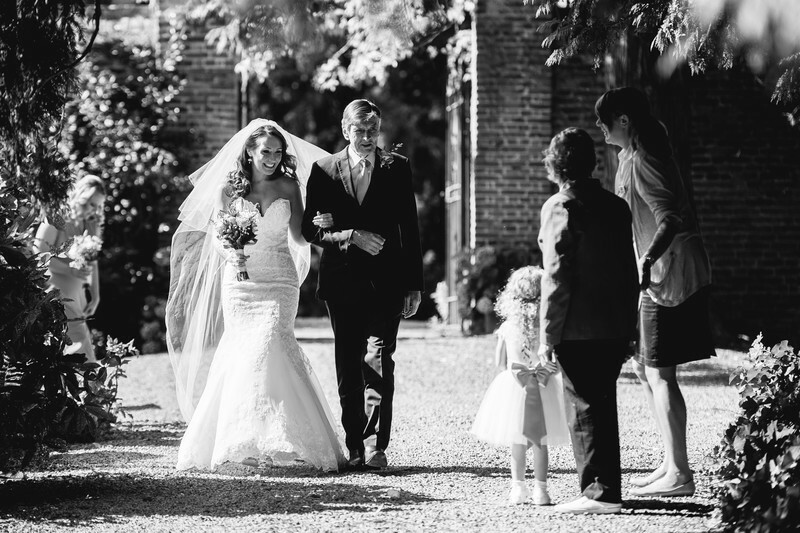 The entire venue is stunning, from the moated house and courtyard, the manicured gardens, the lake and willow tree and even the bridal suite. 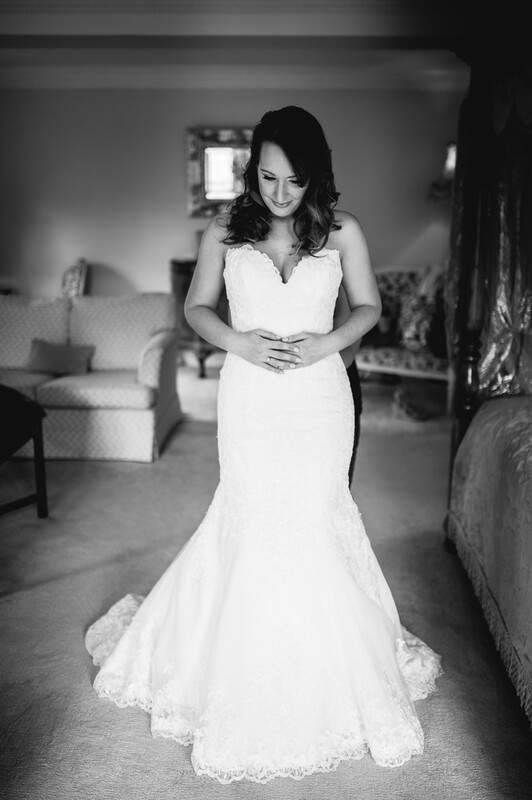 For her Birtsmorton Court wedding, Deb hired the Garden House for her bridal preparations in the morning. From here, before heading to the church, we moved to the Birtsmorton Court bridal suite which is within walking distance of the Church. Deb was a picture of calmness as she was getting her wedding dress on and having it done up by her maid of honour, and she could barely contain her excitement. 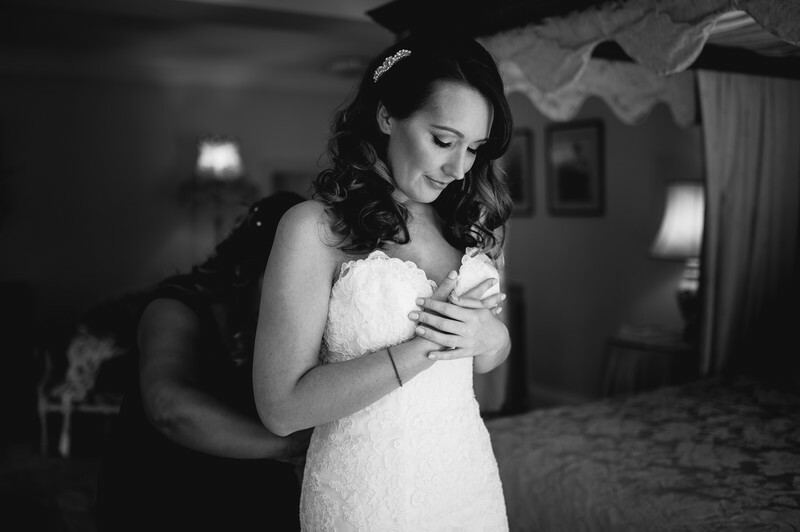 I love this image - it's not an angle you'd often use to photograph a bride, especially when she's having her wedding dress tightened, but I think it works well in this photo. The angle shows off the beautiful shape of Deb's wedding dress. Soon after this photo was taken, Deb's dad came to join her in the bridal suite before the pair walked arm in arm to Birtsmorton Court's church. I really enjoy photographing weddings at Birtsmorton Court, it's a stunning venue that really has everything you could ask for. To view Birtsmorton Court's website, please click here.